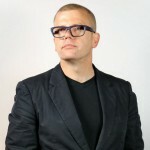 Stuart Keeler is A curator, artist and historian committed to meaningful collaborations with the goal of innovative partnerships in the field of curatorial practice and meaningful community engagement. Ideally, organizations and everyday people should be proactive about what they can do internally to ensure an inclusive workplace environment for trans and gender nonconforming people. The movement may be new to some and while others are more familiar – we all simultaneously need to be considering how we can support and advocate for transgender people in the communities we serve. Often this means:what are you going to do about ensuring equality for this topic? How do we learn more so we can understand? How do we share what we already know? This can be as simple as asking questions about the topic in an open and friendly manner, and just listening and being present and ready to engage in a meaningful way. This blog is intended to highlight thoughts and changes happening in public and private spaces for trans and gender non-comforming people with the intent of opening conversation. The familiar image on washrooms depicting a man in the 1970’s wide leg starched pants and the women in the ironed triangle skirt are being challenged by a third image – half and half of each. The washroom is a place of privacy, which has become a public debate. Due to the cultural mores of the last 300 years in North America, it is a challenge for some to understand the issues about sharing a washroom. So, together we must educate and be patient in working with bringing the topic forward. In the New York Times, “before the Whitney Museum of American Art moved to its new location in Lower Manhattan, it hosted a discussion about what it means for a museum to be a safe and welcoming space. Providing restrooms for everyone on the gender spectrum was near the top of the list”. Let’s keep this mind – this is NYC a progressive and political savvy city, but how does a small community museum in the middle of Canada begin to open the conversation? What tools are needed? Small steps rather than large leaps are best in educating the public and bringing our viewers/visitors forward with us. The Royal Ontario Museum tested a non-gender specific washroom during the exhibition;of A Third Gender. The ROM provided single stall accessible all gender washrooms since 2015, this is a result of visitor requests and the ROM’s commitment to provide a safe and inclusive space and excellent museum experience for all visitors. During the engagement of A Third Gender, the two multi-stall washrooms at the ROM near the exhibition entrance were designated as all gender washrooms. This came partly as a result of the exhibition team’s consultations with members of the LGBTTIQQ2S community, conducted in January 2016 in collaboration with the Centre for Sexual Diversity Studies at University of Toronto. Accessible, viewable prior to walking into the exhibit – which also made a statement of intention that supported the content of the exhibit. Building a team of learners and creating action steps within a safe space is key to change and the conversations required for impact, no matter how big or small the organization. The norm of male / female washrooms has been institutionalized in North America for generations. Many people take the availability and use of safe restrooms for granted. When I was Executive Director / Curator at the Art Gallery of Mississauga, our Engagement Officer hosted a Conversation Series on Queer Safe Spaces, and accordingly placed temporary signs on the doors of the washrooms for our guests. Actions speak louder than words, and change occurs one step at a time with meaningful gestures. While it may have been confusing to some people at first to “read” of the temporary sign, when explained – all were supportive. Lets face it, for some people deciding whether, when, and where to use a restroom is a safety concern, as well as a privacy issue for all of us. Everyone has different needs. A washroom that is gender conforming may affect a person’s ability to work, interact in their community, travel for work or play and generally participate in society as they wish to. Although an excellent step in the right direction, creating gender-neutral bathrooms is not enough to ensure an inclusive environment for transgender employees and visitors. 40% hear jokes about transgender people in the workplace. 42% of transgender workers fear getting fired for disclosing who they are. 40% of transgender workers report “fear for personal safety” as a reason for not being open about their gender non-conformity. A safe work environment that is supportive, open and aware of the issues for others is key, and this requires being able to speak about the issues in a supportive, factual and open manner so others can learn. Building a supportive culture is key. Merely changing the signs on the washroom door is not an inclusive act if the culture or space in which they dwell is not open and supportive. My advice is, think about who you are, and what is important to you. Imagine if this were challenged about your identity and who you are. It’s that simple. We all want to be safe and secure and to have the freedom to be who we are. Safe spaces are important for building an open society. Toilets are up for public debate, and it seems a movement is gaining ground on Trans Rights in North America. We live in a time of change, a space of privilege for some, and others who are fighting for recognition in 2016. We all have a role to understand the issues, and ask questions if we don’t know. Its how we learn and open a conversation.